You can come out of your shell, and start enjoying the social life and friendship you have always deserved, with the aid of self hypnosis. Simply put on a pair of headphones, lay back and relax. It can be that easy. 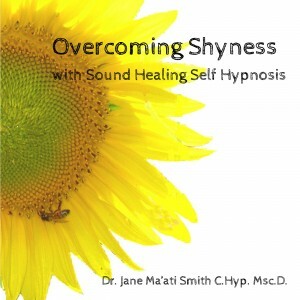 This program utilizes a sound healing technique that uses either side of the headphones to deepen the hypnotic trance, and reach deeper into your subconscious mind, and change the attitudes and insecurities that keep the real you from shining through! Previous Previous post: Did You Know, You and Every Thing on Earth is Composed of Energy Vibrations?